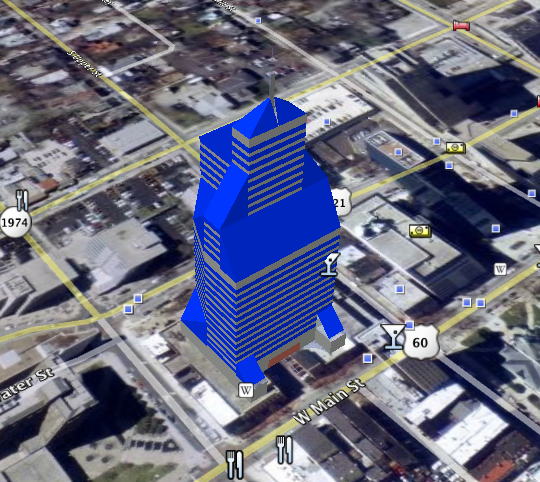 This post is an extension of the last Google Sketch Up/Google Earth example. In this post we are going to do a similar process except we are going to import a large structure on a larger plot of land. 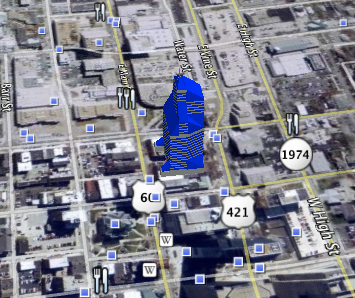 This posting is using an example that I developed after the city of Lexington, Kentucky announced that a new 40 story hotel would be built downtown. I used this opportunity to design what I thought would be an interesting building for the city. In this example we are dealing with a plot of land that actually included about 20 parcels of land that were purchased by a Lexington developer. These parcels were in a prime downtown location directly in the center of the city. The process for selecting the parcels in Cartographica is fairly simple, but important for this example. In this case we are going to select the parcels where the building is designed to be built and then import those parcels into google earth so that we can see how the building I designed fits in this land. The process for selecting the parcels simply involves using the identify tool and the shift key. Holding down the shift key simply select each parcel involved in this project. 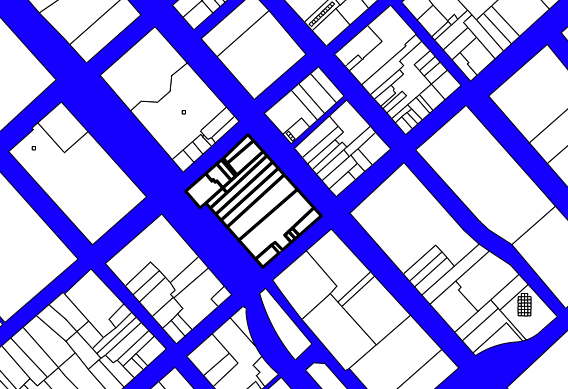 The selected Parcels are shown in Image 1. Next, Cartographica provides a really simple way for exporting features as .kml files that are compatible with Google Earth. Create a new layer from selected features and then select Export Map and choose KML as the file type. 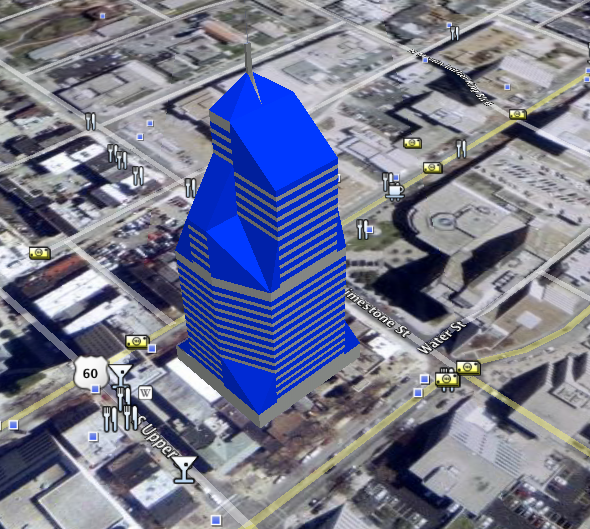 Now you are ready to import the files into Google Earth. Next, we need to import the files into Google Earth. To do this open Google Earth and then select open and find the file you created in Cartographica. (The results of this are shown in Image 2). 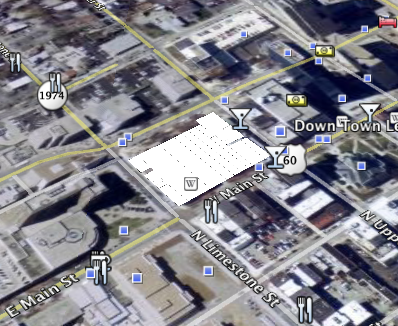 Next, we need to import the Google Sketch Up drawing into Google Earth (Shown in Images 3-5).